Most of the disciplines are different to those on the Olympic programme. Beach rowing and beach athletics are among sports successfully pioneered at other beach events which are not included. "This sports programme demonstrates what the ANOC World Beach Games are all about," said ANOC secretary general Gunilla Lindberg. 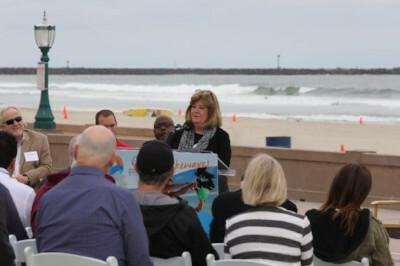 "At San Diego 2019, we'll see elite athletes from 15 exciting sports that individually attract huge global youth audiences. "Every discipline is dynamic, accessible and fantastic entertainment. 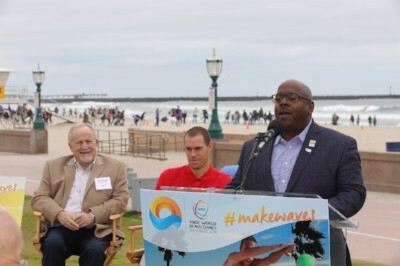 "By bringing them together for the first time under the ANOC World Beach Games banner, we will connect the NOCs (National Olympic Committees) of the world with a new generation of young sports fans." It is not expected that every NOC will participate in the sporting competition. But all 206 of the world's NOCs would be expected to be represented at the ANOC General Assembly taking place alongside the meeting. A major challenge for ANOC and local organisers concerns generating sponsorship and revenue. The event was initially due to take place in 2017, but was pushed back to 2019 two years ago to allow more time for preparations. "The Local Organising Committee for the ANOC World Beach Games 2019 has been working extensively with our partners at ANOC as well as the International Federations, to develop the sports programme and we are truly excited to reach this milestone and launch these Games to the world," added Organising Committee chief Vincent Mudd today. "The 2019 Games will feature high level competition in vibrant, youth centric sports coupled with music and cultural festivities that will ensure a truly memorable experience. "We are looking forward to welcome the technical delegates tomorrow and San Diego is ready to host the world in 2019." The announcement following a Coordination Commission visit to San Diego by an ANOC panel. AChef de Mission Seminar for participating countries was confirmed for April 7 to 10, 2019.